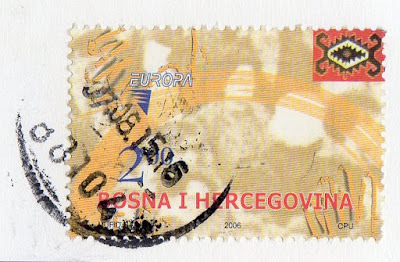 ...I mean different in the sense that none of my other postcards of Mostar (and I have a LOT of them, thanks to dear Snježana) have Prince Charles on them. :P Why they would put him on a postcard like this is a little beyond me... I'm now also trying to work out what there is here behind the bridge - surely those blue (?) things are not sun loungers?! I have yet to come across a postcard showing something other than the Old Bridge from Mostar. ...although perhaps that's not very surprising. Jobbo noted that the "new" or "normal" part of town is one of the poorest he's seen in Europe outside of Russia. oh i love this! 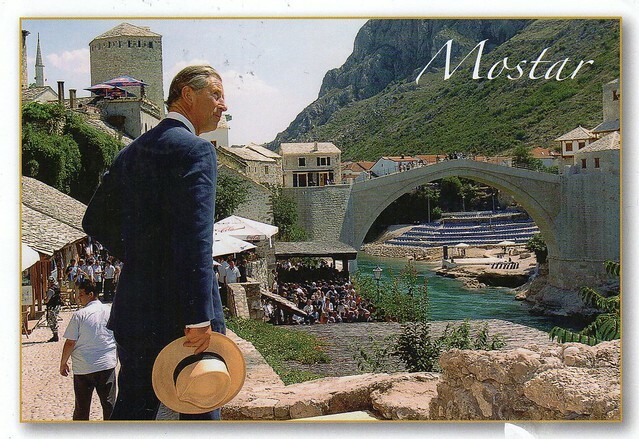 been to mostar last month but didn't see such postcard...shame!